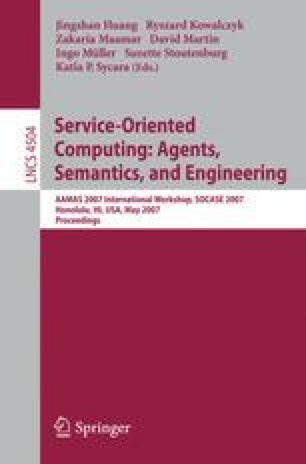 Recent advances in service-oriented frameworks and semantic Web technologies have enabled software agents to discover and invoke resources over large distributed systems, in order to meet their high-level objectives. However, most work has failed to acknowledge that such systems are complex and dynamic multi-agent systems, where service providers act autonomously and follow their own decision-making procedures. Hence, the behaviour of these providers is inherently uncertain — services may fail or take uncertain amounts of time to complete. In this work, we address this uncertainty and take an agent-oriented approach to the problem of provisioning service providers for the constituent tasks of abstract workflows. Specifically, we describe an algorithm that uses redundancy to deal with unreliable providers, and we demonstrate that it achieves an 8-14% improvement in average utility over previous work, while performing up to 6 times as well as approaches that do not consider service uncertainty. We also show that our algorithm performs well in the presence of inaccurate service performance information.